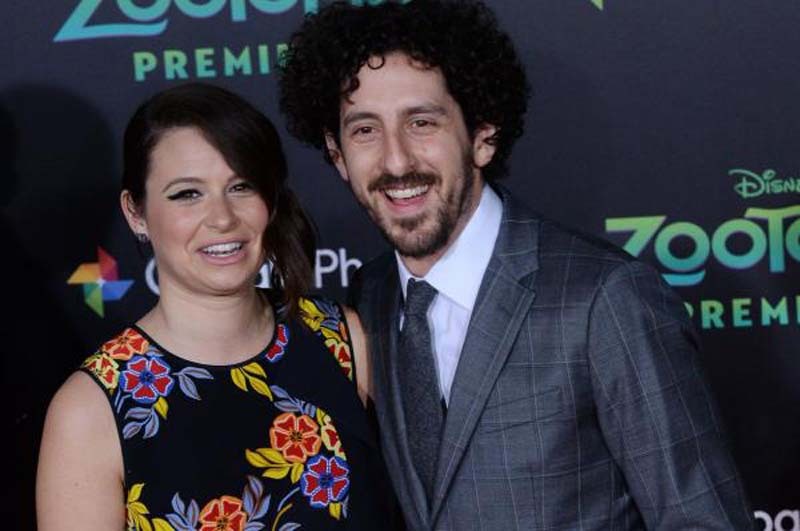 [post_ads]Scandal actress Katie Lowes is to make her Broadway debut alongside her husband, actor/director Adam Shapiro, in the musical, Waitress. The show's producers announced the casting of Lowes and Shapiro as Dawn and Ogie -- love interests in the musical -- on Wednesday. They will join the ensemble -- which includes Katharine McPhee as Jenna and Erich Bergen as Dr. Pomatter -- on Tuesday. Lowes shared on Twitter a brief video clip of her and Shapiro singing as they walked down a street in New York. "Best part of being married to your co-star: rehearsing on the way to rehearsal. (Also the worst part ) @waitressmusical @adamshapiro," she wrote. Waitress is about an unhappily married, pregnant diner worker and expert pie maker who falls in love with her obstetrician. Dawn and Ogie are her supportive friends. The show, which opened on Broadway in 2016, is based on the 2007 film written, directed and starring Adrienne Shelly. Scandal wrapped its seven-season run in April. Lowes' co-star on the show -- Kerry Washington -- is also heading to Broadway. She will act opposite Rescue Me alum Steven Pasquale in the Broadway premiere of Christopher Demos-Brown's play American Son this fall.